Wash the grapes and pat dry with paper towels. Insert a toothpick in the opening where the grape was attached to the vine. Repeat this process with all remaining grapes. Place in a sealed plastic bag and freeze. If possible, leave the grapes in the freezer overnight, or for at least 2 hours, before enjoying. 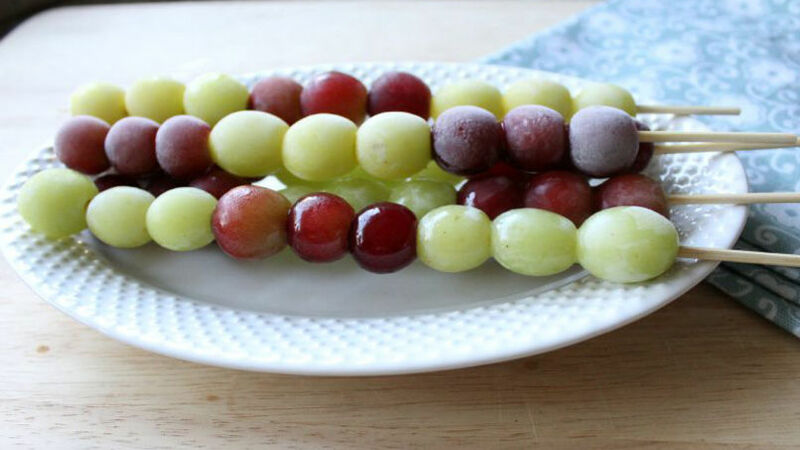 Combine different kinds and colors of grapes on the toothpicks for an even more colorful presentation. Frozen grapes are my favorite fruit on the hottest summer days. I love how refreshing they are, and they're perfect dessert alternatives when you need a cool treat. For even more playful presentation, I like to use kabob skewers in place of toothpicks. The final product is delicious and can be served for a number of different occasions, from big get-togethers to intimate gatherings at home.